We loved everything about your services and everyone enjoyed the music. Thank you so very much for helping us make our wedding day everything we dreamed it would be. You were amazing and I will refer your company to everyone!! Thank you again. We both thought David was wonderful. He really took care of everything and was never overbearing in the mic. The music selection was great, something for most ages. People were really commenting the next day that they really liked the music and had a great time dancing. The dance floor had a constant stream of people even with many people out on the terrace. There were a few inappropriate requests by the bridal party so maybe I wouldn’t let them request again…aka “xxxx in a box. LOL We really had a great time and the music was key and very well done. Thanks for everything David!!!! I just wanted to say THANKS for making our reception and incredible success! I have never seen a dance floor so insanely crowded at a wedding ever. We have gotten so many compliments, we cannot thank you enough. Matt and I were were wondering if it is at all possible to purchase our play list, it would be an awesome keepsake when we are still raving years from now about our wedding. Should you ever need a proper referral, please feel free to think of us. Jack was awesome!! He couldn’t have done a better job. He kept the dance floor full all night with songs everyone loved. Jack incorporated our requests as well as fitting in our “must play list” He was professional, kind, and very accommodating. 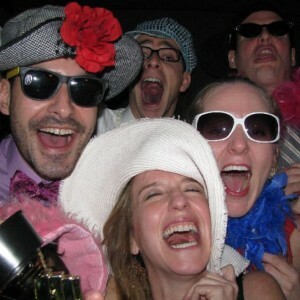 We have had many of our guests tell us how much fun they had at our wedding because of the awesome music. Thanks so much Jack! Jeff was exceptional at using our list of requests to create a fantastic playlist. He also incorporated a few last-minute changes and was agreeable about doing so. Jeff even got on the phone with our transportation company when the bus we booked for our guests did not arrive on time. We received multiple positive comments from our guests and the videographer told us our reception had the best music he had heard in ten years. Fantastic!